Product #18396 | SKU SD-1E | 0.0 (no ratings yet) Thanks for your rating! 2 V-Mount Adapter Plates with 4-pin XLR Connector and 7.3 power. This adapter allows the V-Mount battery to be used for more equipment; even equipment that do not allow a V-Mount will be able to utilize the 4-Pin XLR and 7.3 VDC output. Slightly larger than a standard V-Mount, this device will fit into production bags and even large pockets with ease. 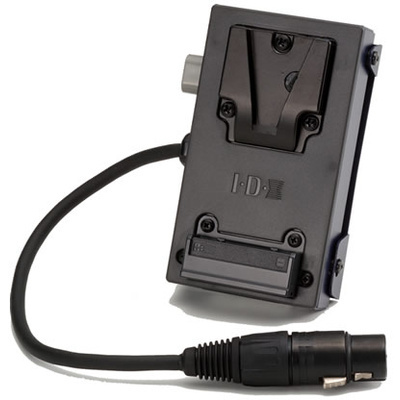 A standard 7.3 VDC output is offered for camcorder power.